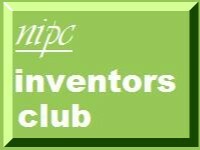 NIPC Inventors Club: New Angel Network: Ground Floor Ventures Ltd.
New Angel Network: Ground Floor Ventures Ltd.
One of the things about twitter is that you never know who you may meet. Somebody who has just started to follow me is Ground Floor Ventures Ltd.
"Ground Floor Ventures is about bringing together entrepreneurs with investors and, unlike other existing 'angel networks', we choose not to charge entrepreneurs to come along and pitch. This means Ground Floor Ventures gets really interesting opportunities that the other events miss out on by pricing out the early stage entrepreneurs. We look for unique businesses which have the potential for serious growth and we aim to attract entrepreneurs looking for a relatively small amount of investment (typically under £30k) so that investors don't have to be 'squillionaires' to reach into their pockets and 'get in on the ground floor' of fabulous business opportunities." This looks great! Just saw the site www.groundfloorventures.co.uk.